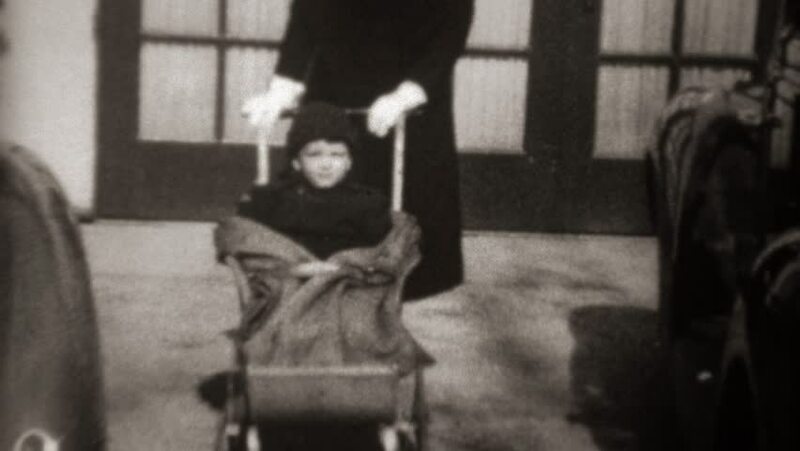 TRYON, NC 1941: Mother pushing baby stroller wearing black funny tiny fashion hat. 4k00:16INDIA 1946: an elephant his moving in rope from ship in front of crowd. hd00:291950s: UNITED STATES: boy sits on grass. Friends gather together. Boy's club meet for activities. Boys lie on ground.